Named after the most romantic city in the world, this pretty rose arrangement delivers romance ever so beautifully. Light pink roses symbolize femininity, elegance and refinement, especially when they are perfectly arranged in a white French country pot. 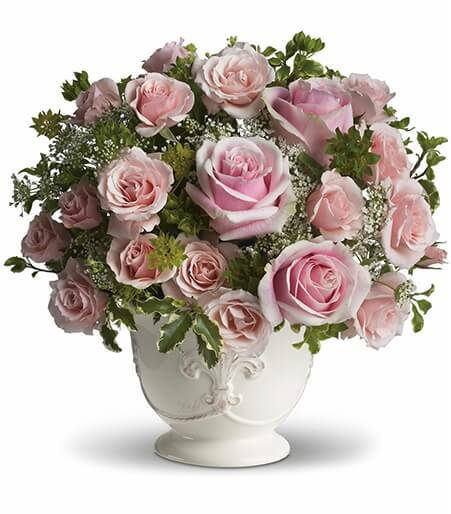 Enchanting light pink roses and spray roses arranged with delicate Queen Anne's lace and greens are delivered in an exclusive ceramic container. C'est magnifique! Color and style of container may vary.